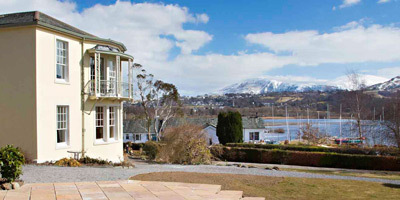 Bristowe Hill is located in a commanding elevated position, close to the heart of Keswick, in the Lake District. We have private parking for ten or more cars. We are 20 minutes from the M6 motorway: Exit M6 at J40, Penrith. Take the A66 West towards Keswick and stay on this road for approx 17 miles. Ignore the first turning down a slip road and continue until you reach a large roundabout. Here turn left into Keswick, this is Crosthwaite Road.